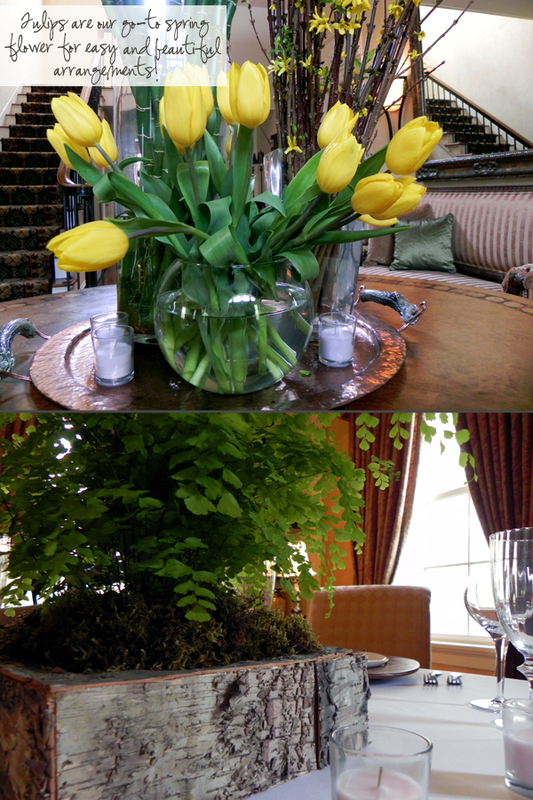 It isn’t often there is an occasion that calls for centerpieces of tulips and fine silver for a room full of men. However, we’ve found that a dignified male dinner party isn’t complete without some decor, as long as we deliver a masculine approach. A simple arrangement using only one type of flower- like tulips in a fish bowl- is appreciated by the male guests, but doesn’t overwhelm. We discovered these containers for an outdoor, rustic wedding we are planning. Each contained two Maidenhair ferns that we then covered in moss. They were perfect for this event because while they didn’t scream femininity they gave a natural approach and pop of color to the table. 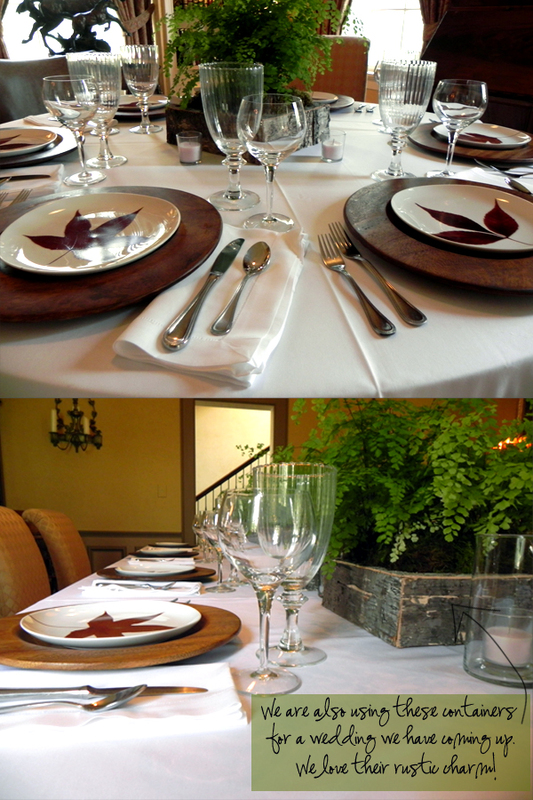 We completed the table story with white votives, wooden chargers, and plates with a decorative leaf motif. It was an appropriate and beautiful setting for men to gather for a meal and talk business while the wives were away.